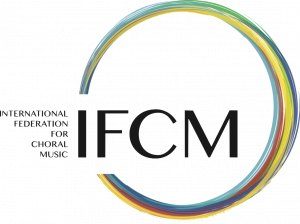 National choirs have played a large part in establishing New Zealand’s profile abroad, both in the commissioning of new works from composers and in the participation in festivals and international choral competitions. Certainly, over the past decade, many more community and school choirs have added to this profile worldwide. 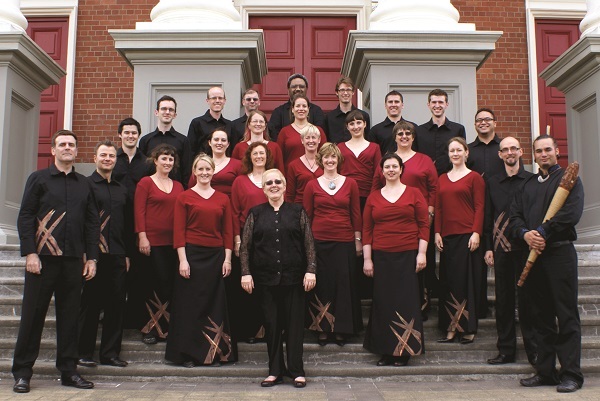 Just last week Voices New Zealand Chamber Choir returned from the 9th World Choral Symposium in Argentina. 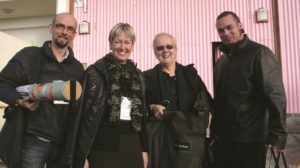 It was the first time Voices had participated in a world choral symposium and, more significantly for us, Taonga pūoro artist, Horomona Horo, was part of our artistic team. 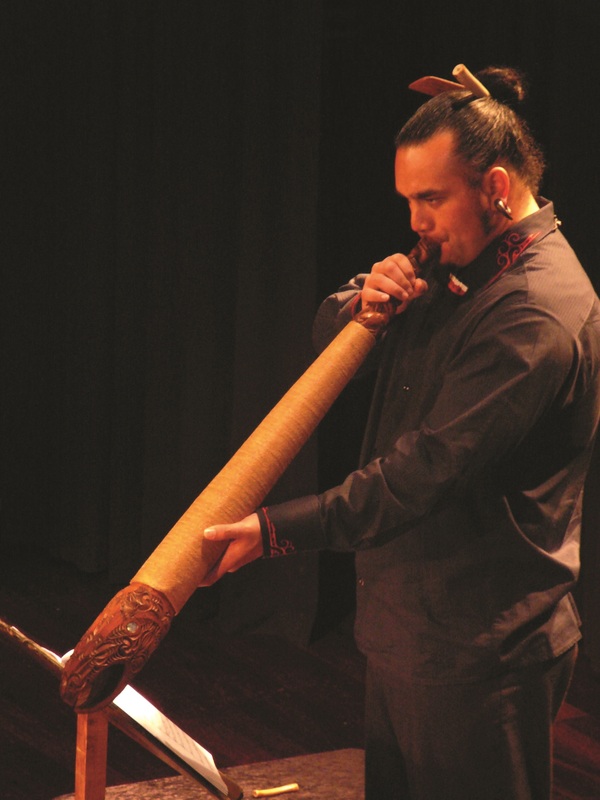 This marked a giant step forward in our collaborations with indigenous musicians and musical traditions. For the first time there were commissions written for a chamber choir with parts actually notated for the Taonga pūoro instruments. The performance and commissioning of works from our talented NZ composers have continued to be strengths in the New Zealand Youth Choir’s repertoire, as with Voices New Zealand Chamber Choir and the New Zealand Secondary Students’ Choir. It was Elise Bradley and her excellent school choir Key Cygnetures at Westlake Girls’ High School Auckland who first established contact with Aroha Cassidy-Nanai, then a member of the renowned kapahaka group Te Waka Huia and also on the staff at Westlake. Through this association, the first Māori waiata were gifted to and performed by a European choir. My introduction to Māori waiata came in 1993 when Keri Kaa and Te Taite Cooper visited the Youth Choir rehearsals at Queen Margaret College. I remember with great humility the kete (flax basket) that was presented to me by Keri prior to our ’93 tour. Our knowledge and understanding of the waiata happened through the people we met. Piripi Monroe first played Ka Waiata to me on his ukelele in his living room. It was he who suggested that sashes with a Māori motif might be added to our green uniforms. I was very glad to have Te Rauhina Williams’ approval – she thought that the design was very good. We needed to make the right decision. Thus new life was breathed into the green uniforms. Tihei mauriora! It was indeed a new beginning for the Youth Choir. Without reservation, the most significant development in my 22 years with the NZ Youth Choir has been the relationship built with Te Waka Huia, Ngapo and Pimia Wehi, Aroha Cassidy-Nanai and Bussy Nanai over 16 years. The opportunity to be taught by and work with special people from the best of the kapahaka groups in NZ has been the greatest gift (thanks to Graham Hoffman of NZCF who introduced us). This long association has seen us performing together, Te Waka Huia and the NZ National Youth Choir, on the stage of the Sydney Opera House, and since then kapahaka items and music have been gifted to us from Waka Huia. I can remember the very first performance of Kua rongo in Holy Trinity Cathedral Auckland with NZ Youth Choir and Waka Huia, prior to our leaving for Sydney. A wonderful moment: the two groups were on stage in full flight, while Ngapo and I peered nervously through the screens at the back of the stage area like proud parents. Dr. Guy Jansen founded the New Zealand Youth Choir in 1979 and the NZ Secondary Students;’ Choir in 1986, as choirs that would give young singers opportunities that would otherwise not be available to them in their regions. Meetings were twice/three times a year and singers came together from all around the country to sing. Over the years they have performed with the NZ Symphony Orchestra, with such artists as Dame Kiri Te Kanawa and Jonathan Lemalu and with such conductors as Vladimir Ashkenazy (Mahler 8), Howard Shore (Lord of the Rings) and James MacMillan with the Hilliard Ensemble (The Quickening). The membership of the national choirs is dependent upon the choral activities across the country. Terence Maskell’s work with Aorere College choirs earlier, and currently with The Graduate Choir, for example, has led to excellent Polynesian singers joining the ranks of the national choirs. As the demographic of New Zealand has changed over the years, so the national choirs are now populated with the mix of cultures that call New Zealand home. The larger vision is that these three choirs espouse excellence in choral singing: the Secondary Students’ Choir caters for singers aged 14-18, the NZ Youth Choir for singers aged 18-25 and Voices NZ Chamber Choir aspires to be a professional chamber choir. 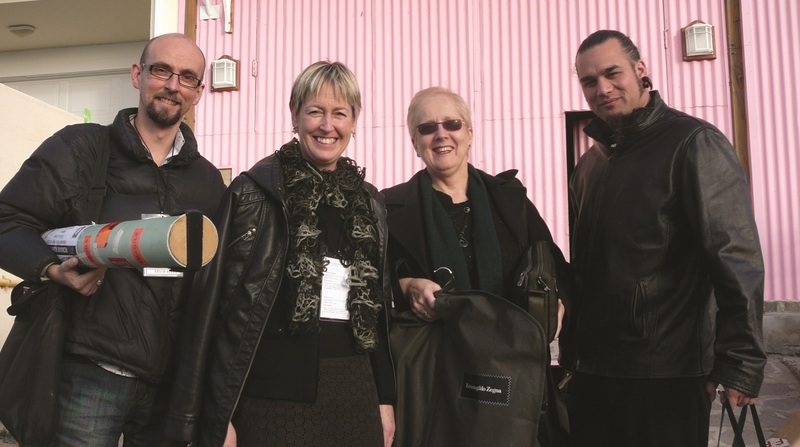 For each choir, the aspiration continues to reach the highest levels of accomplishment when performing works by New Zealand composers, and be to proud national representatives of Aotearoa in the world. Examples of national choirs include: The National Male Voice Choir, The National Māori Choir, New Zealand Secondary Students’ Choir (1986), New Zealand Youth Choir (1979), Voices New Zealand Chamber Choir (1998). Taonga pūoro refers to the traditional Māori musical instruments. Elise Bradley was the former conductor of the NZ Secondary Students’ Choir, currently Artistic Director of the Toronto Children’s Chorus. Kapahaka is commonly known in New Zealand as Māori Performing Arts: kapa means rank or row and haka is a Māori dance. The saying Tihei mauri ora comes from when Hineahuone (the first woman to be created) had life breathed into her. The tihei imitates the sneeze when a child is born, mauri means the force, and the ora is the life.